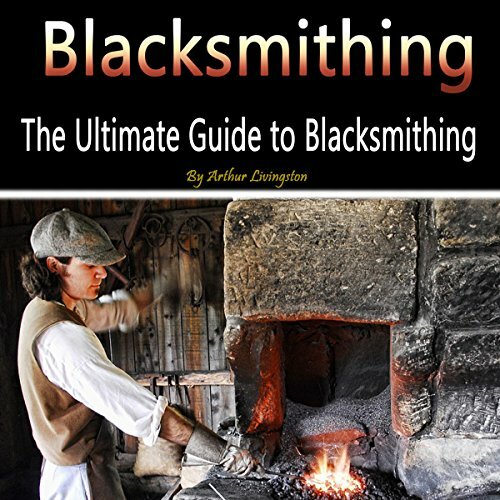 This is the ultimate guide with three audiobooks about blacksmithing projects, history, definitions, step-by-step tutorials, and much more. A unique combo with oceans of information. Here are the three audiobooks, with each their own special content. To start off, we’ll talk about forged round bars. Then, we talk about how to create a business out of your DIY blacksmithing projects. After that, we’ll go over platforms such as Facebook, Etsy, YouTube, and ads. We’ll discuss how to maximize profits and efficiency in your shop and your business. We’ll finish up with some extra information about metal railing, D2 steel, and hard cutting tool materials. Curious yet? Then don’t wait and start listening, so you don’t have to remain in the dark. Save yourself the time, and learn from what worked for me. I will see you in the first chapter! The blacksmithing business is serious and interesting, and it's good that there are books like this to help out. I loved the information in this, especially buying it with my credit and as you're doing other things. I loved it and I would recommend it to anyone who takes blacksmithing seriously. You won't be disappointed. He lined up a lot of the materials, techniques, and methods to do blacksmithing. If you don't like this, then you shouldn't have bought a book about blacksmithing because it doesn't get any better than this. Nothing wrong with it. You can learn a lot about blacksmithing with this 3 hour book. I loved it. I am now a happy customer. Not too shabby. Keep it up. Looking forward to more books like this. Maybe a good book but horrible audiobook..
Bad flow, bad reading, and a whole chapter on how to make money in World of Warcraft...???? like a bad YouTube video without the video..